London, 11 April 2019 – While internet-based technologies have made giant steps into banks’ departments, trade finance has long remained anchored at “business as usual.” Something, however, is changing here, as corporate clients are pushing for more efficient and transparent operations. Banks are joining forces to create consortia running trade finance operations on a single platform generally operated on a distributed ledger infrastructure. 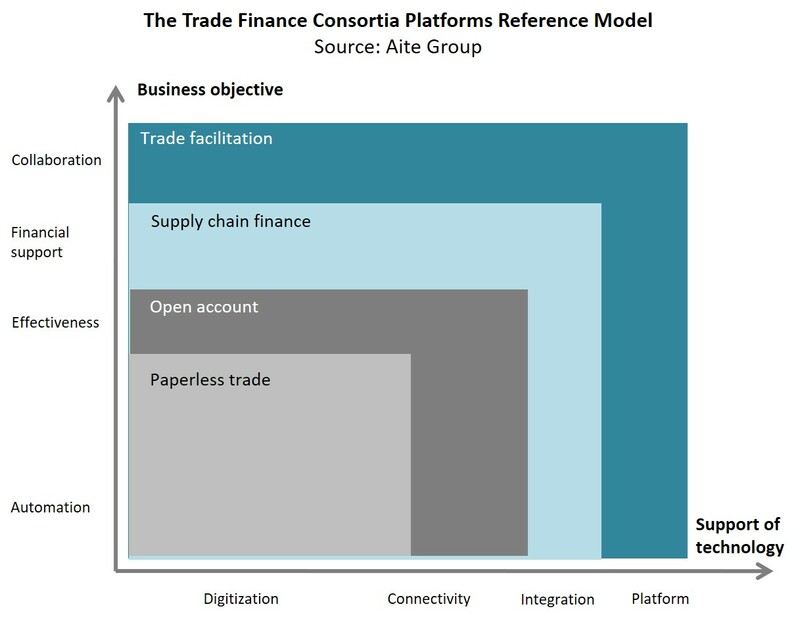 This report profiles the digital platforms adopted by trade finance consortia that made their appearance in the last 12 months, offering an authoritative guide and advice on how the trade finance dynamics are radically shaping the strategies of financial institutions. This report is based on data points from publicly available sources and on interviews conducted between October 2018 and January 2019 with North American and European main reference executives operating in banks or with technology vendors. It profiles the following consortia: Batavia, Bay Area Trade Finance Blockchain Platform, China Trade and Finance Interbank Trading Blockchain Platform, Global Shipping Business Network, Komgo, Marco Polo, Trade Information Network, Trade Information Platform, TradeLens, Vakt, Voltron, and we.trade. This 34-page Impact Note contains 14 figures and one table. Clients of Aite Group’s Wholesale Banking & Payments service can download this report, the corresponding charts, and the Executive Impact Deck.